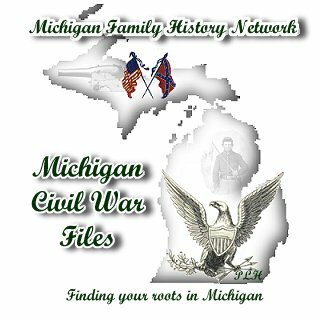 In June of 1894 census enumerators recorded the names of U.S. soldiers of the Civil War living in Michigan. 42,544 soldiers were enumerated. 34,946 were native and 7,598 were foreign born. 148 Confederate soldiers resided in the state at that time. 102 were native and 46 were foreign-born. The average age was 55.41 yrs. Washington Gardner, Secretary of State, recognized that it was not possible to determine with any degree of accuracy some of the names as enumerated. In March of 1896 after a completed list was in type, the list was sent to each enumerator for verification and to the Grand Army of the Republic Posts in each county. The request was made to correct spelling errors and add those not enumerated. Names of those individuals not included in the original census enumeration, but returned by correction from either the enumerator or the G.A.R. (Grand Army of the Republic) appear with brackets* around their names. It was found that 172 individuals from the original list were not soldiers. Those names remain on the listing without designation. *The brackets had to removed from the database to make it searchable. A field was added called Correction and shows the word "yes" to mark those veterans later added. Transcribed and © Copyright by Donna Hoff-Grambau, July 2000.